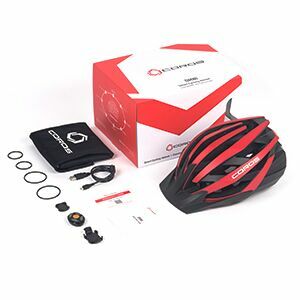 Coros OMNI smart cycling helmet is designed to help you get the most enjoyment and awareness out of your ride, while enhancing ultimate safety. With an innovative open ear bone condensing audio system, auto LED tail lights and Smart Remote, the OMNI delivers an utmost combination of ride safety and convenience. The ability to connect with your smartphone allows for two-way audio communication and uploading your ride. Get instant accessibility with the included Smart Remote to change music tracks, adjust volume, turn on/off your LED lights, or answer a phone call. The integrated open ear Bone Conduction Audio system delivers precision sound through your cheekbones, giving you complete awareness by leaving your ears open to hear your surroundings. No ear buds and no wires means you can direct your attention where it should be, on the road!. Safety is a priority and with the Auto LED Light feature, you can ride with ultimate safety, day or night. The LED light activation is automatic based on ambient light. You can control these features either through your app or with the included Smart Remote. 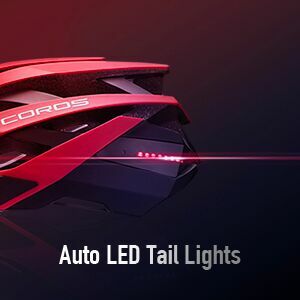 Available for Apple iOS or Android, the Coros App connects your helmet and smart remote to deliver ultimate ride data. Analyze your rides and ride history with features such as distance, time, average speed, max speed, cadence, elevation and more. Connect and sync your ride data with popular apps such as Strava. The Smart Remote gives riders an easy and safe way to stay connected while they ride. Control volume, skip tracks, pause music, take calls, turn on/off the LED tail lights, receive ride data and more without stopping to fumble with your phone. With the included mount and cables, installing the Smart Remote on any handlebar is quick and easy. 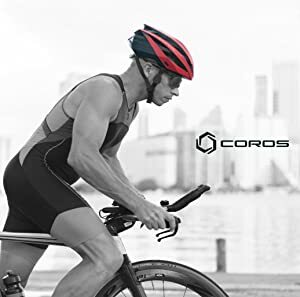 Coros OMNI smart cycling helmet is designed to help you get the most enjoyment and awareness out of your ride, while enhancing ultimate safety. With an innovative open ear bone condensing audio system, auto LED tail lights and Smart Remote, the OMNI delivers an utmost combination of ride safety and convenience. The integrated open ear Bone Conduction Audio system delivers precision sound through your cheekbones, giving you complete awareness by leaving your ears open to hear your surroundings. No ear buds and no wires means you can direct your attention where it should be, on the road! Safety is a priority and with the Auto LED Light feature, you can ride with ultimate safety, day or night. The LED light activation is automatic based on ambient light. You can control these features either through your app or with the included Smart Remote. 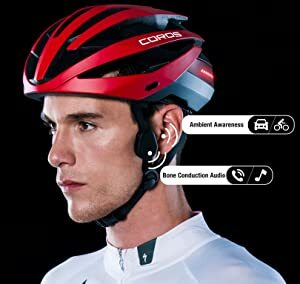 Available for Apple iOS or Android, the Coros App connects your helmet and smart remote to deliver ultimate ride data. 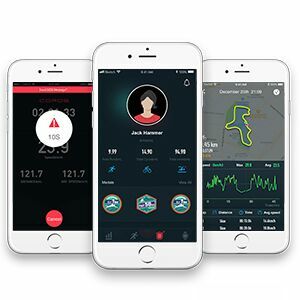 Analyze your rides and ride history with features such as distance, time, average speed, max speed, cadence, elevation and more. The Smart Remote gives riders an easy and safe way to stay connected while they ride. Control volume, skip tracks, pause music, take calls, turn on/off the LED tail lights, receive ride data and more without stopping to fumble with your phone. 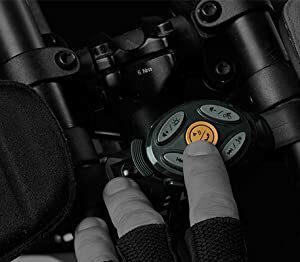 With the included mount and cables, installing the Smart Remote on any handlebar is quick and easy.